For Dirtbike insurance, Bikesure are the true specialists. We have exclusive access to a range of specially designed schemes, designed just for Dirtbike owners, and with great features including agreed value cover as standard. Our cover also includes protection for modifications and customisations you might have made to your Dirtbike, and the specially discounted rates take account of the extra care and safer riding you can demonstrated as an enthusiast. Our Dirtbike motorbike insurance rewards the genuine enthusiast with real discounts. Experienced riders receive discount of up to 15% in addition to a 10% discount for members of Dirtbike clubs . These are some of the current and past Dirtbike models available in the UK. If your model is not listed, don't panic, as we can offer cover for any road-legal bike, trike or quad, including grey import bikes and overseas models. Finding a reasonable bike insurance quote can sometimes be rather difficult. Many motorcycle insurance companies don't cater to the exact needs of Dirtbike owners and you can easily find yourself overcharged if you don't speak to a specialist. Because our Dirtbike motorcycle insurance is designed around you, you can select those policy options which will be most useful to you. All our policies come with £100,000 of legal expenses protection included, free, but you can also choose to add personal injury insurance, a comprehensive homestart breakdown policy and cheap helmet and leathers insurance. 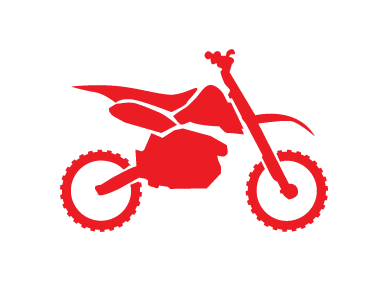 You can get a Dirtbike Insurance policy online, but we think you'll get a better deal if you speak to our staff, who are trained underwriters, and can use their extensive knowledge and experience to apply human common sense to your rate. And because your rate will be individually computed, they can save you money by deviating from the standard computerised rates. 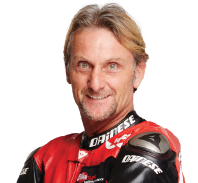 As specialists in motorcycle insurance services, they will also answer your questions and are able to advise you on the best Dirtbike bike insurance policy for you. To speak to one of our classic motorbike insurance specialists, use the call back form during our office hours of 9am to 7pm Monday to Friday or 9am to 4pm Saturday. Experience of riding your bike.